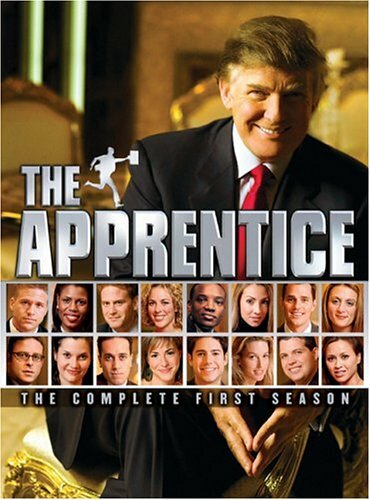 Posted on Sunday, March 20, 2016, by Eric - TV Geek Army "Revered Leader"
For reasons that I've at times struggled with, I've always been a huge fan of the long running Apprentice / Celebrity Apprentice franchise. We've long known that Donald Trump is a colossal blowhard. But as it turns out, he fronts a sometimes maddening but consistently entertaining reality competition product in the form of the long-running Apprentice franchise. But will The Don's exploits over the last few years in the world of fringe-y far right politics push viewers away from the upcoming All-Star Celebrity Apprentice edition? How could I have predicted what the world and political picture would look like heading into a political season in 2016 that looks to be a presidential contest between Donald Trump and Hillary Clinton? During the presidential primary season in 2012, I took part in a group interview/conference call with Donald Trump that also included George Takei (who is always a pleasure). I was the only person on that call who asked Trump a political question. I tied the question to Celebrity Apprentice by asking Donald Trump -- this being the era of Trump's foray into "birther-ism" (essentially accusing President Obama of not being born in the United States and, in effect, questioning the legitimacy of his ability to hold the presidency) -- if NBC had any issues with his increasingly controversial political positions. Trump thanked me for the question, assured us that NBC had no issues with his political activities, and then segued into a long winded story about how he had just had a fantastic conversation with Mitt Romney -- who then was cruising his way toward the Republican nomination that year -- and was planning to join him on the campaign trail. My favorite part of that back and forth, by the way, was that at that moment George Takei chimed in that he would love to sit down with Trump to discuss his own (presumably far more left-leaning) political positions. I then attempted to chime in to invite myself into this potential Trump/Takei summit (and would have gladly flown myself to New York City for such an amazing prospect) but a bunch of cross talk on the conference call intervened and, sadly, the great summit of thought leaders was not to be. Cut to 2016. Trump may well become the next president of the United States of America (feel free to take a moment to shudder before reading on). 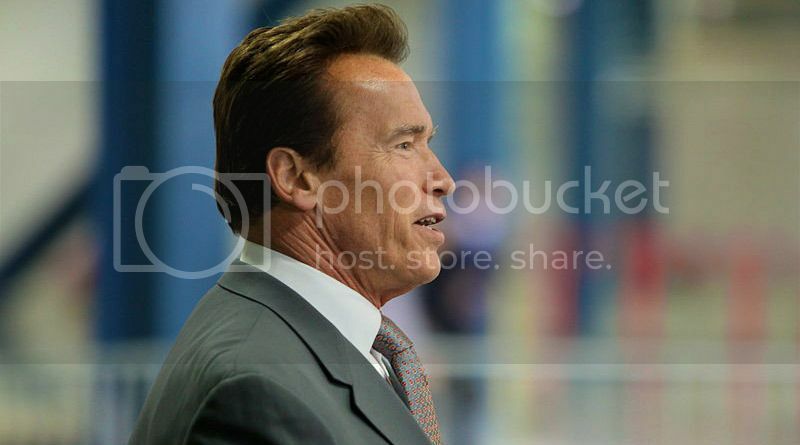 And Arnold Schwarzenegger is set to become the next host of the Celebrity Apprentice. Which is going to be weird, right? Maybe not quite as weird as the prospect of a President Trump, but still. I do question whether a Schwarzenegger-fronted Celebrity Apprentice will be as entertaining as the Trump era. While the politics of 2016 will surely color one's take on a gentler time in recent American history where Donald Trump was merely a colossal blowhard, billionaire, and reality television host, it was this peculiar blend of personality traits that helped to make The Apprentice and then Celebrity Apprentice a compelling watch. Trump's boardroom decisions were often erratic and could tend to defy logic (based on the strange and somewhat vague "rules" of the game), but frankly that often made things interesting. The Schwarzenegger era is reported to be taking a more tech and innovation-based approach to tasks and will be filmed in and around Los Angeles' Silicon Beach tech scene as opposed to the long time New York-based home for the franchise (including the short lived Martha Stewart-hosted edition, which I actually quite enjoyed). That said, the casting choices for the upcoming season of Celebrity Apprentice are as... wacky and eclectic as ever, including Brooke Burke-Charvet, Eric Dickerson, Boy George, Jon Lovitz, Vince Neil, Nicole "Snooki" Polizzi, Chael Sonnen, Ricky Williams, and Carnie Wilson. While I'm certainly interested to see what kinds of shenanigans and fireworks this motley crew (no pun intended) of celebrities and athletes brings, I'd be more excited if the new season kicked off with a return to the non-celebrity edition of the show, with aspiring entrepreneurs going after their dreams within the confines of a reality television pressure cooker. At the very least, we do have another reality show to look forward to along these lines, based on the doings of Jason Calacanis' LAUNCH Incubator. I'll be tuning into that show for sure. And yes, I'll also be tuning into the new version of Celebrity Apprentice if only to see how all of the weirdness plays out.